All alone – Hazard the False Nine wasn’t nearly as effective as Hazard the Winger. The first half was boring as hell. One team, set up defensively, attempted few quick breaks that got cancelled rather easily. The hosts, on the other hand, had the ball but were unable to move it fast enough to make progress. Eden Hazard, stuck with the ball to his feet against two or three defenders and forced to stir something up on his own, could not quite cut it. Without a proper forward outlet in the final third or runners to cause mayhem behind the lines, the Belgian could not do anything other than spreading the ball wide and hoping for wing-backs’ far-post cross to reach some destination. Booooo. Boooring. Only after half of an hour, a set-piece cross landed on Gary Cahill’s head and the captain attempted to bury it in the top-left corner. For a second, the ball looked as if it hit the back of the net. Unfortunately, this was merely an illusion, as it landed on the top of it after being hit a couple of inches over the bar. That was about it: for 45 minutes, England’s best club of the 2016/17 season did not manage a single shot on target against the side that went into administration during their League Two spell less than a decade ago. Things did not really improve after the break. 48 seconds after Marcos Alonso’s overhit free kick, Jordon Ibe slipped through Callum Wilson and the former Kettering Town loanee made no mistake in a one-on-one with Courtois. 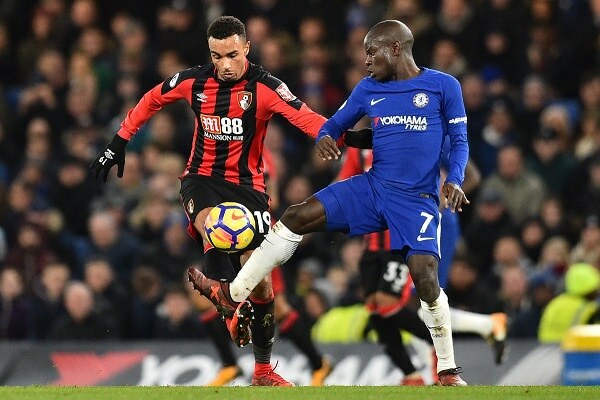 It wouldn’t have happened if Tiemoué Bakayoko (6′ 2”, nearly 170 pounds of weight) had enough strength to chest down a loose ball under his feet instead of knocking it down into the path of a Bournemouth player. It wouldn’t have happened if Cahill immediately closed down Wilson instead of waiting for extremely late Azpilicueta to catch up with the marking. Those two have let their team down. Junior Stanislas. The name has never sounded this menacing. So did Ross Barkley. Prior to this match, the former Everton lad had a rather anonymous League Cup debut in a 1-2 loss to Arsenal and a 17-minute cameo against Newcastle in the FA Cup. During his first-ever start for The Blues, he’s had just a single bright moment, early in the game, when he couldn’t quite decide whether to take a shot from a difficult angle and got blocked. If his Wednesday appearance was supposed to create a new link up play and replace the one provided by Hazard – it failed miserably. Barkley has been reduced to watching Lewis Cook’s midfield masterclass; Conte subbed his new player off after 54 minutes. Shortly after that, the second goal followed. Wilson and Stanislas escaped the marking of five (!) Chelsea players and the latter ran through for an easy one-on-one finish against Courtois. This time, it’s the collective responsibilty that failed. Azpilicueta missed his tackle and then didn’t knew whether to track Ibe or let Cahill do it. Cahill himself miscomunicated with Bakayoko and left his defensive zone to close down Wilson. Fàbregas and Kanté have been left in the dust even earlier and did not really participate in defending this move. As a result, in that moment, Chelsea team looked like a bunch of traffic cones. To put even more salt into Antonio Conte’s wound, the third and final goal of the match has been put away by his former pupil. A year ago, Nathan Aké has turned his Bournemouth loan into a full-time contract and Cherries paid a club-record fee for his services. At the time, it looked like a brilliant deal for The Blues. Instead of sending the player they didn’t need on another loan, they were actually making good money from offloading him. 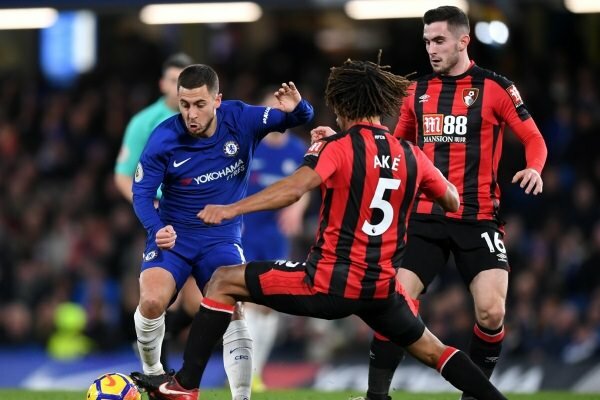 In hindsight, it’s not that simple: this season, Aké performed well and helped AFCB to concede 13 less league goals than they did at the same stage of 2016/17 campaign. On Wednesday, he crowned that by getting his little moment of revenge. Chelsea are now the fifth team that Nathan Ake has scored against in the Premier League. Ironically, had the lad been still on his previous clubs’ payroll, he’d likely get a game on Wednesday anyway. Andreas Christensen, the long-awaited CFC reinforcement, has suffered a thigh injury early on and was forced off for Antonio Rüdiger, who didn’t have the best game as a substitute. With him far from optimal form, Cahill struggling and Bournemouth attacking with pace, Aké, 22 years old, still yet to reach his peak, probably wouldn’t do worse than his former teammates. “He is an integral part of the squad” – said Eddie Howe before the game – “I don’t think he has anything to prove to anyone there”. Which bring us to the heart of Chelsea’s problems – the recruitment policy. Looking at it from afar: it seems all wrong. Prior to their triumphant 2016/17 run, Antonio Conte spent £120 million to hire four new players and all of them delivered. Marseille’s Michy Batshuayi might’ve wasted months watching Diego Costa from the bench but he scored a title-clinching winner at Hawthorns, as well a couple other important goals in the cup. N’Golo Kanté continued what N’Golo Kanté does – being the world’s best ball winner. David Luiz stopped making defensive mistakes and adapted well to a 3-4-3 formation while Marcos Alonso’s crosses and free-kicks have turned him into one of the most offensively prolific Premier League wing-backs. A year and a half later, Chelsea are on £230 million worth of expenditures but the impact of those moves has been mediocre at best. Álvaro Morata, after a roaring start, did not prove to be an improvement over the rebellious Diego Costa. 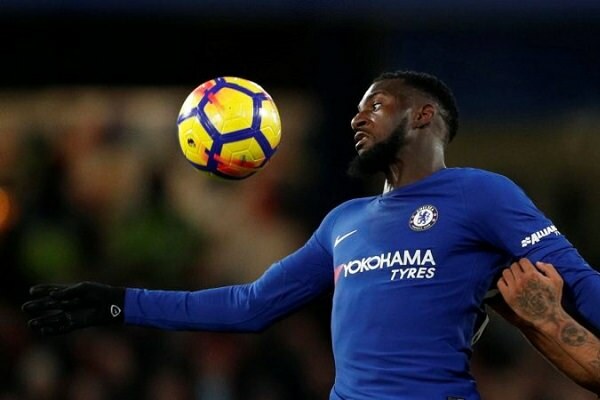 Tiemoué Bakayoko, sensational at Monaco, had merely one good game, at home, against Manchester United – in other matches, he’s been either invisible or simply awful. Danny Drinkwater wasn’t worth the half of his £34 million fee. Davide Zappacosta put some solid performances, but that’s it. Even Antonio Rüdiger needed months before finally settling into that starting eleven. King in Monaco, peasant in London. Where did it all go wrong for Tiemoué Bakayoko? Eventually, Conte addressed the situation by adding Emerson Palmieri, Olivier Giroud and Ross Barkley. At the moment, the Brazilian left-back is a bit of enigma. Terrific two years ago, he spent the last 8 months recovering from anterior cruciate ligaments injury he sustained in Francesco Totti’s farewell Serie A game against Genoa. No one knows how he settles in England; no one knows whether his hamstrings will be issue-proof from now on. At Stamford Bridge, he’ll fight for the starting eleven with Marcos Alonso. The Spaniard, five years older, much more experienced and already well-established in the Premier League, remains the favourite in this behind-the-scenes rivalry. Ross Barkley’s career has been spiralling downwards since the year 2016. Once touted as the next Toffee wonderkid after Wayne Rooney, he ended up returning less and less creative passes and more and more dirty, dangerous tackles. Last summer, Everton openly gave up on him by signing Gylfi Sigurðsson. Struck by the hamstring injury in August, he’s found himself in a spot where nobody was willing to fork up £30 million to release him out of the prison at Goodison Park. Eventually, The Blues got a 50% discount for his services – but it’s plain to see that he hasn’t been their priority at all. And then, there’s Olivier Giroud. Arsenal icon. The player with one of the best goal-per-minute ratio in the Premier League history. Gunners’ super-sub. At 31, with perhaps two, maybe even three years left on the top of the game. His injury record is fairly clean. On paper – a £15 million bargain of a buy, especially considering the experience he brings to the squad. But will the Frenchman outmuscle Morata in a race for the #9 spot? Unlikely. Antonio Conte, known for trusting only one, main-man upfront, will certainly invest playing time in a six years younger, three times pricier Spaniard. For one reason in particular: after disasterclasses against West Ham, Arsenal and Leicester, the former Real Madrid man’s reputation took a major nosedive. Should Morata continue to follow Fernando Torres’ footsteps, Chelsea manager would suffer the biggest failure of judgement of his career – and frankly, he cannot afford such a blow to his reputation. Down to the fourth place, with tough games soon to be played: The Look. 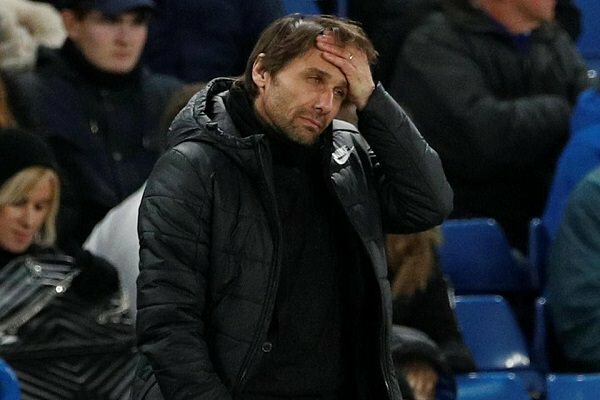 Conte has only three games to turn this around: dreadful Watford away, doomed West Bromwich at home and freshly relegated Hull City in the FA Cup. After that, it gets rather complicated: Barcelona at home in the Champions League and then, two league, away days at Old Trafford and Etihad Stadium. Three games in two weeks to sort this out. Things haven’t been this difficult at Stamford Bridge since José Mourinho had his memorable fallout with Eva Carneiro.